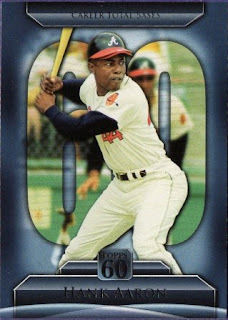 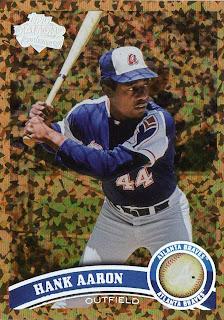 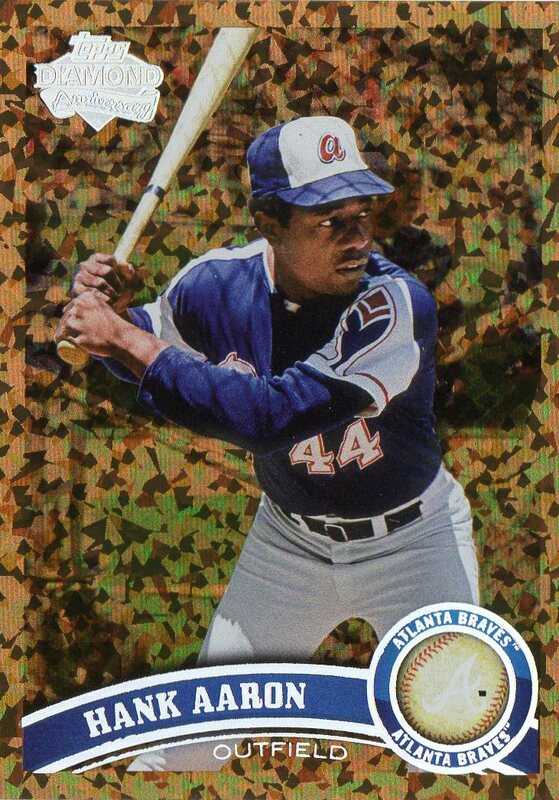 Bought one at Target for $14.99 and it was devoid of anything - since the Topps site was down, I had to enter my code cards on vacation and I ended up with 1987 Topps cards of Don Sutton and an Ozzie Smith All-Star subset card. 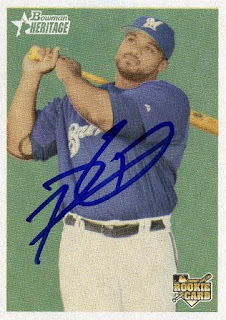 It's great that Prince Fielder finally signed with a team - as a baseball fan who likes to read the occasional baseball forum or Web site, I was tired about reading the doubt generated by skeptics about how the free agent market had shrunk for the fat slugging first baseman and how agent Scott Boras' tactics had finally been dismissed as bunk. 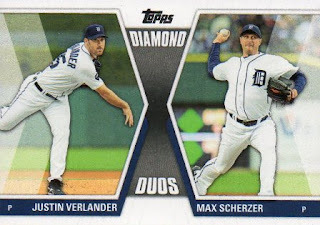 By landing a 9-year, $214 million deal with the Detroit Tigers - Fielder gets the contract that pays him like a superstar and his agent proves once again to be the grand wizard of professionals who can negotiate contracts for these pro athletes. 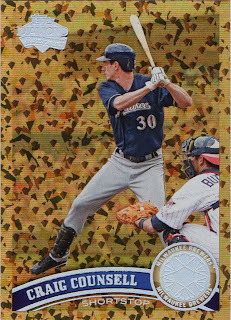 After having Ryan Braun in left field and Prince Fielder at first base as sort of their power core in the middle of the lineup through the last four seasons - I'm sure the Milwaukee Brewers are looking forward to having new Japanese import Norichika Aoki in left field [maybe for the first 50 games of the 2012 season, maybe not] and someone like Mat Gamel at first base. I'm not sure what to make of Ayala's talents as a baseball player but I guess his routine works - and maybe a guilty pleasure as he spoofs the gestures of Latin American ballplayers in professional baseball. 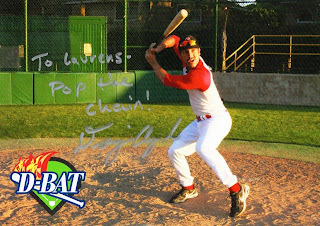 He appeared at a home run derby to benefit former Arizona State baseball player Cory Hahn last Saturday afternoon in Placentia California - I saw him walking around and I was going to have him sign a dummy card, but he had promotional pictures to give away, which he personalized, inscribed 'pop the chain' and signed. 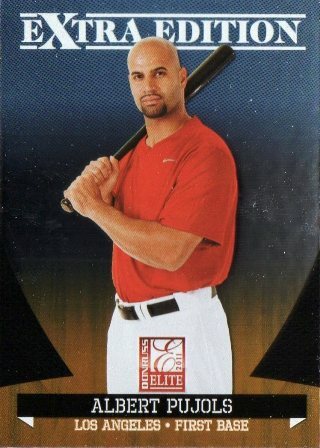 He seems a little smaller in person but the thing about his 'gimmick' is he does resemble a baseball player[if even just a little bit] - he hit a home run in the derby and it was kind of cool seeing him go deep. With a little bit of identity theft going on with at least couple of players from the Dominican Republic - I would love to see a scenario where Ayala is exposed to have a different name and age...that maybe where the 'natural progression' of his 'career' goes. 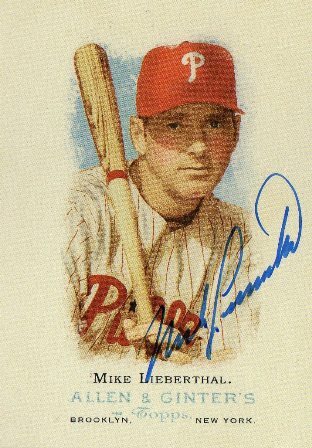 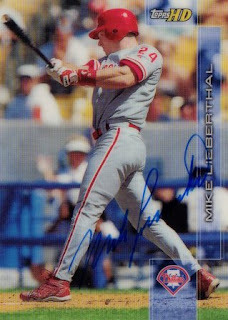 Mike Lieberthal c/o home - the former Philadelphia Phillies and Dodgers [for one lone season] catcher signed my cards in blue ink and kept one in about two weeks. 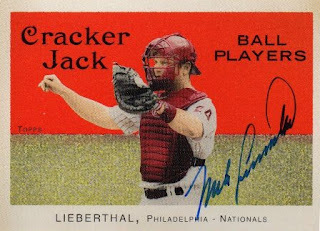 The 2006 Topps Allen and Ginter's, 2005 Topps Turkey Red and 2004 Topps Cracker Jack are 'setters' to add to my collection - from these sets I collect, I have no misconceptions of the cards I can or can't get signed, but it is nice to be able to get three more out of the way. 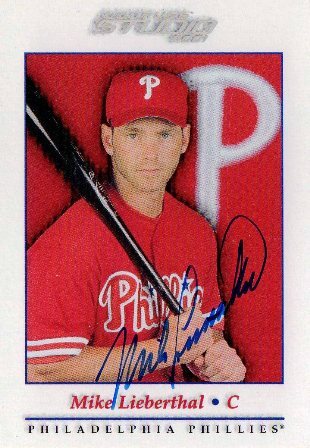 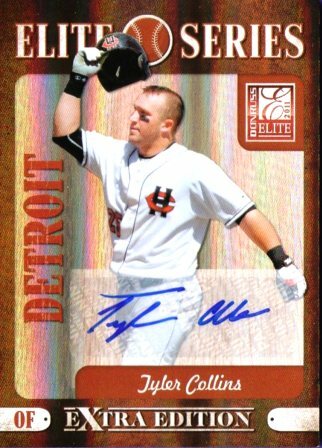 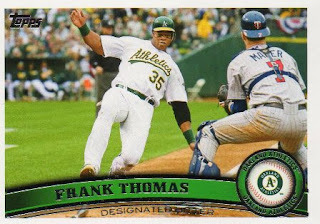 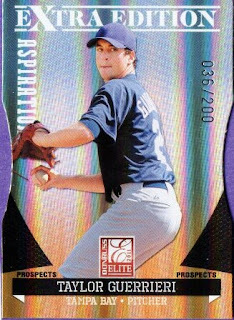 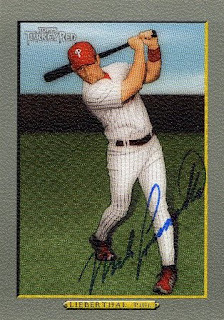 I've always liked the 2001 Topps HD because I didn't have many of the super premium quality cards printed on thick glossy card stock - unfortunately the autograph is sort of obscured because it was signed in a dark area. 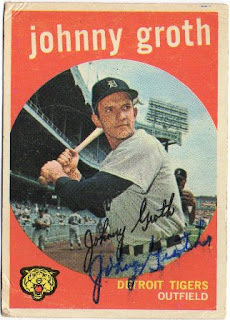 Johnny Groth c/o home - he signed my card in blue ink for $5, though the autograph was smeared, so it was sort of a waste of a request to send. I guess the $5 is just pocket change and if I was going to send an autograph request to an 85-year old guy to sign my card - I should temper my anticipation since who knows if someone like Groth can still do day-to-day things in his life such as respond to autograph requests. 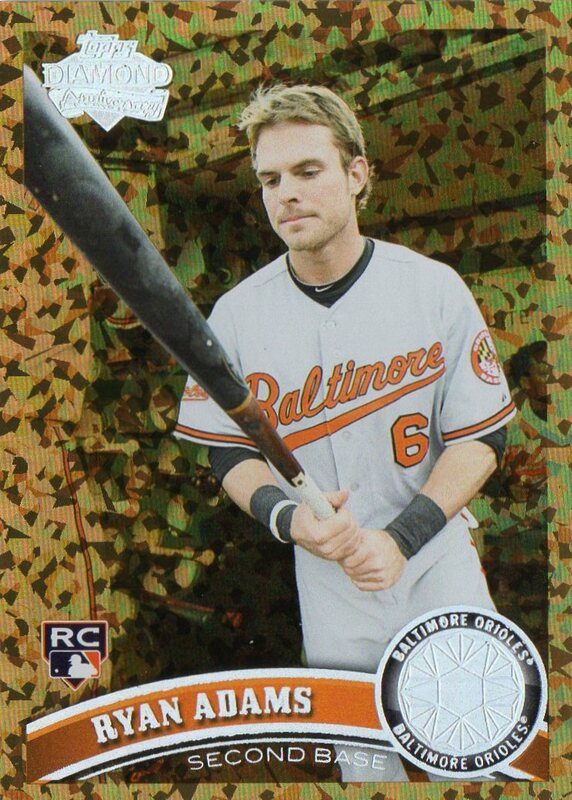 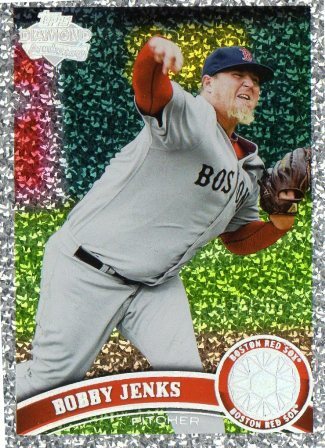 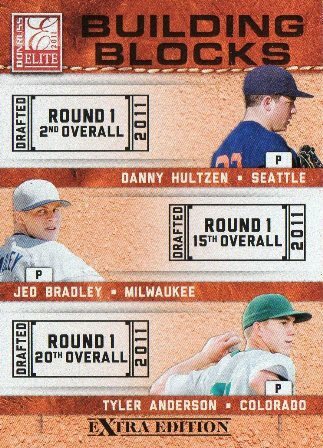 2011 Topps Update Value box - I don't know if I'll try and keep on picking these up [if I even find more] since it seems like I've come up with bupkis, but can I really complain not pulling 'OMG, super mojo cards' with these little mediocre retail breaks? 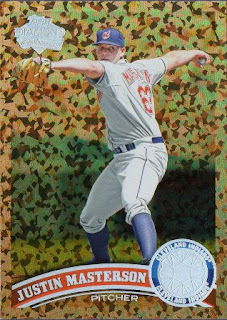 #TDG-20 Kevin Youkilis Topps Diamond Giveaway code card - I redeemed a 1959 Topps Jim Brosnan #194. 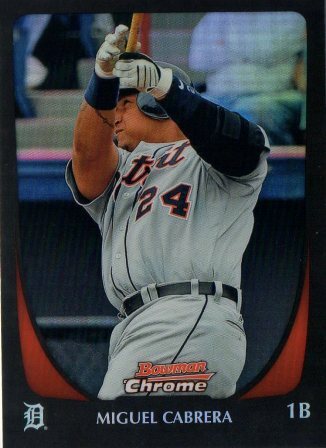 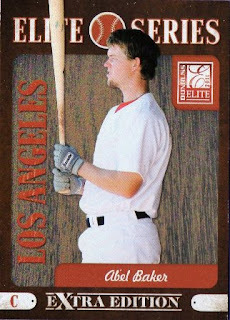 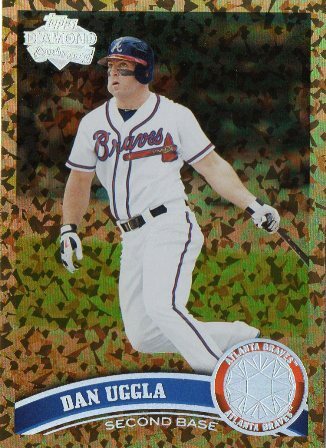 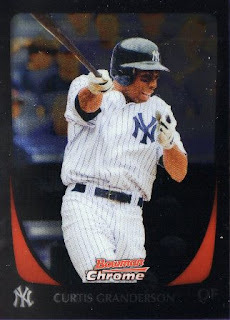 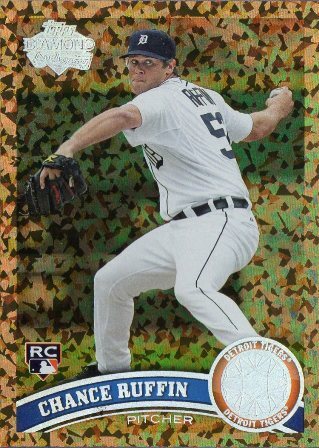 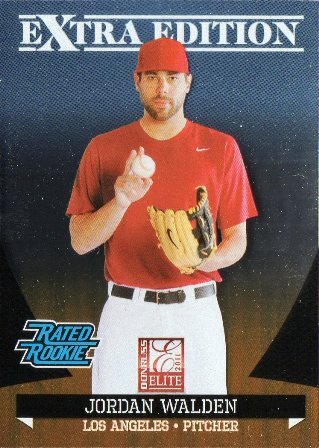 2011 Topps Update Value box [$10.98 each x2 at a Walmart] - I found two more of these and decided to pick them up. 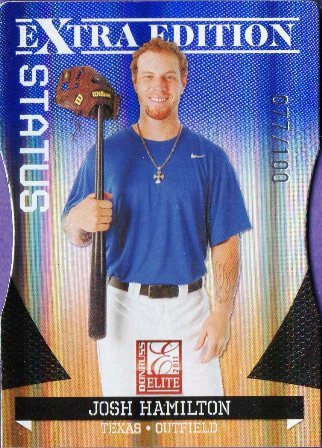 BCE-1 Bryce Harper bonus card - this one looks like another red refractor version. 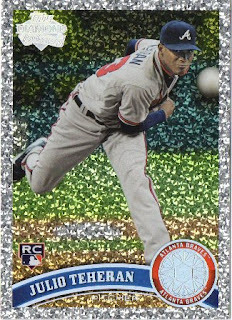 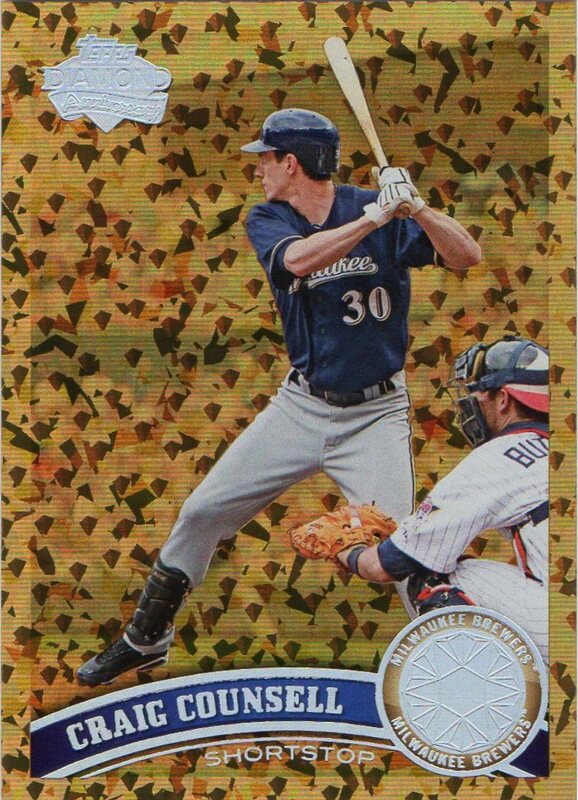 #TDG-17 Ryan Braun Topps Diamond Giveaway code card - I redeemed a 1991 Topps Randy Johnson #225. 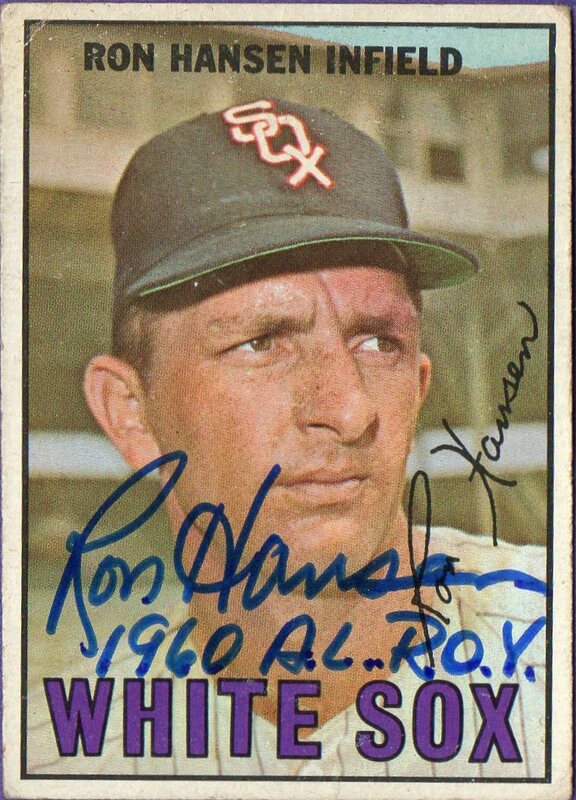 Ron Hansen c/o home - signed my card in blue ink with '1960 A.L. 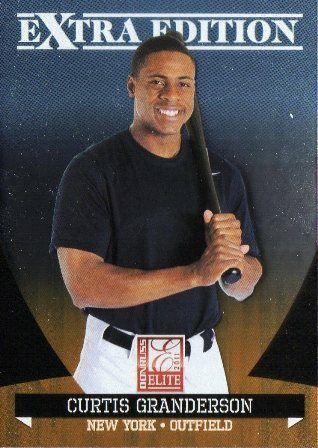 R.O.Y.' inscription in about a week. 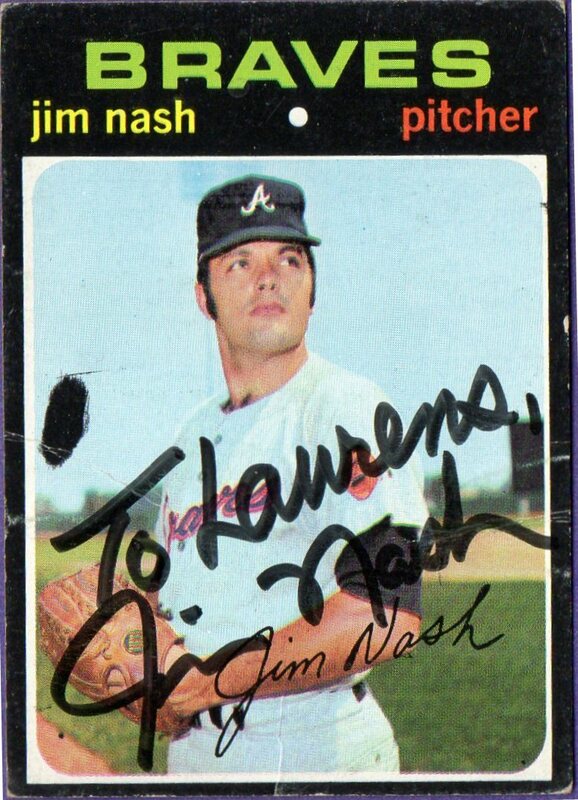 For a card I picked up randomly, I really how this particular card turned out - maybe Hansen had to sign over part of his face and perhaps the facsimile autograph gets in the way, but the actual autograph on the card is nice, bold and clean. 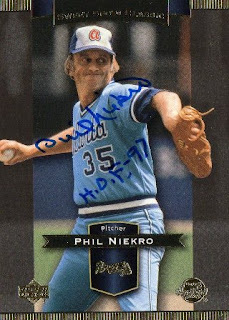 Phil Niekro c/o home - I sent $10 and my card was signed in blue ink with a 'H.O.F. 97' inscription and he responded to my letter. I was worried about this request because I mailed it in a regular envelope and when I take to a person at the post office - I have to see my outgoing envelope squeezed to see if I have to pay the surcharge [$0.20] for additional ounces. Maybe it is a problem I'm just being petty about, but it pisses me off because by the way my envelopes are being felt up - card (s) I'm sending out [I'm probably more concerned over cards from the last 10 years] are probably bent up and creased before I pay for my postage. 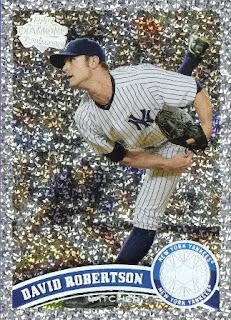 Maybe about a week later I get my request back from Niekro- I was pretty relieved that all the squeezing at the post office apparently didn't damage my card at all as I see no visible creases. 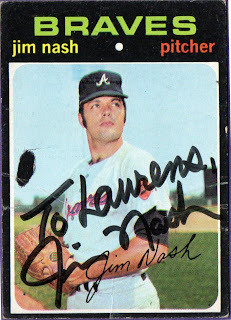 Jim Nash c/o home - personalized and signed my card in black Sharpie in about a week. 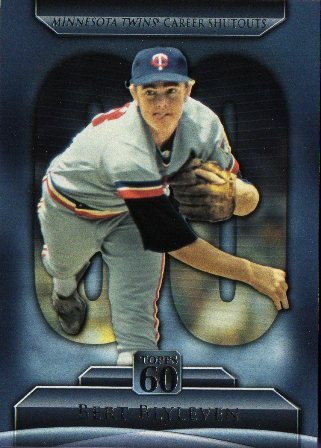 I looked at his stats before putting together my letter and discovered he was a pretty good starting pitcher - I would guess for every 'old school' MLB guy who took pride in throwing 250-300 innings for 10-15 years, there were pitchers like Nash who had success early on, but whose playing careers effectively ended towards their late 20s. 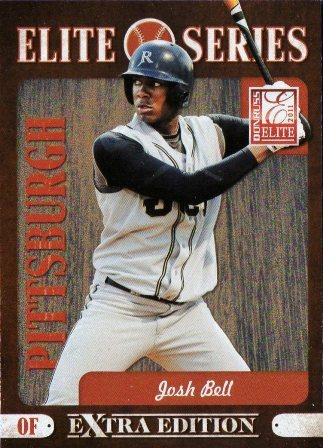 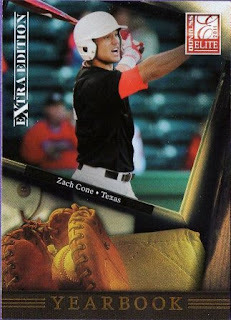 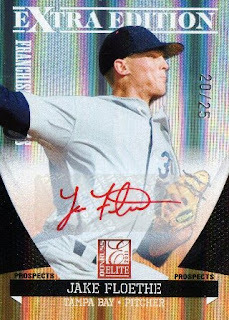 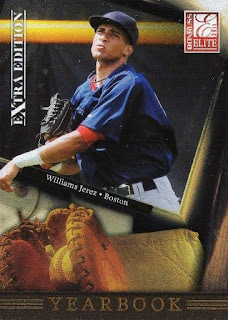 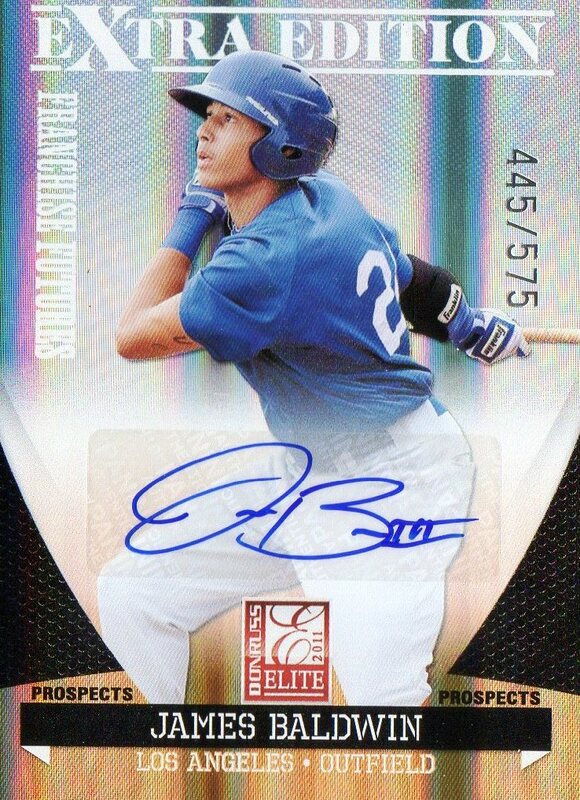 2011 Donruss Elite Extra Edition hobby box [$110 each at a card shop] - my biggest problem with EEE is it tends to be a little pricey even with six autographs per 20 pack box. 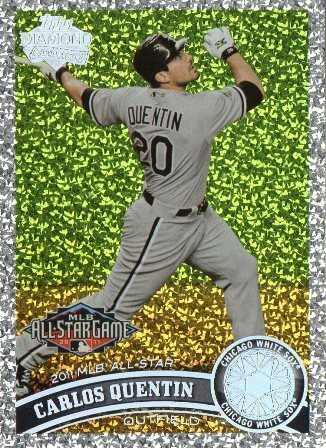 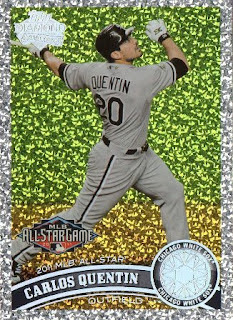 It's an unlicensed baseball product for the sport that probably weeds out more 'never has beens' than produces guys - who become multiple All-Star perfomers at the highest level. 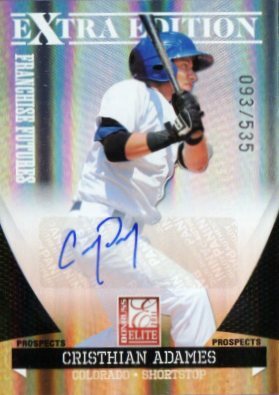 I realize box prices may fluctuate, but I've got to pay if I want to play right now and ultimately everything is tied into the autograph pulls - I'm probably be stuck with autographs of players I have to wait on as far as getting their professional baseball careers going [not to mention the other players who were drafted / signed during the last several years]. 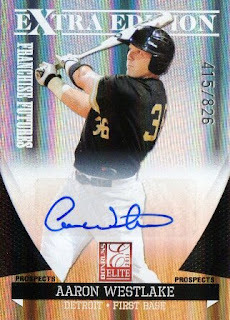 #13 Trevor Cahill - Donruss / Panini doesn't get 'extra credit' for updating 'Oakland' with 'Arizona' as far as listing Cahill with his new team. 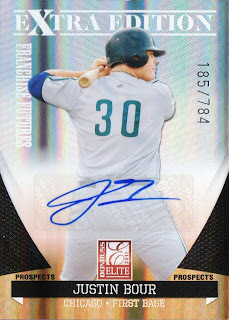 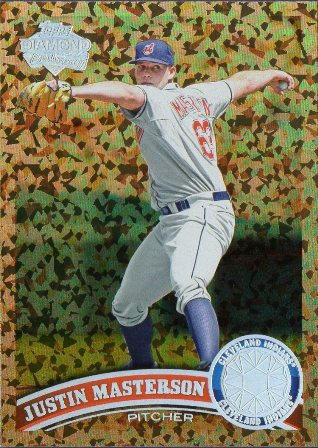 #25 Jay Bruce - these base cards are sort of refreshing to see even if they are only licensed by the player's association and not Major League Baseball. 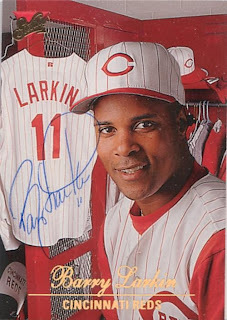 Barry Larkin - I got the autograph card signed through the mail 'via venue' c/o the Atlanta Braves during the 2000 All-Star break. I remember writing to Larkin and then Pittsburgh Pirates All-Star catcher Jason Kendall - Larkin responded with my card signed in blue ballpoint pen. 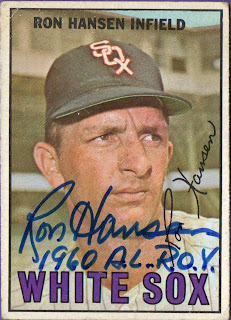 If I had a vote in the 2012 Hall of Fame ballot - I'd only vote for Larkin to be inducted with Ron Santo into the Hall of Fame this year. While I've assumed he was a very good player, I don't think I've seen him as anything but a borderline Hall of Famer - however, Larkin was a 'one-team' guy who spent his entire 19-years as a MLB player for the Cincinnati Reds. Looking at the shortstop position, Larkin was as good as you were going to get before guys like Alex Rodriguez, Derek Jeter and Nomar Garciaparra came onto the scene in the late 1990s - Larkin got on-base, hit for average, hit for some pop, stole bases and play pretty good defense. 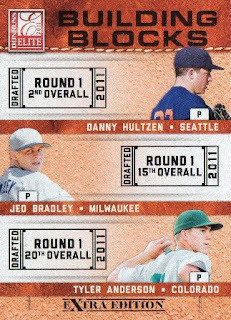 2011 Topps Update Value box [$10.98 each at Walmart] - a break from the 'featured autographs' I've posted in the last several days. 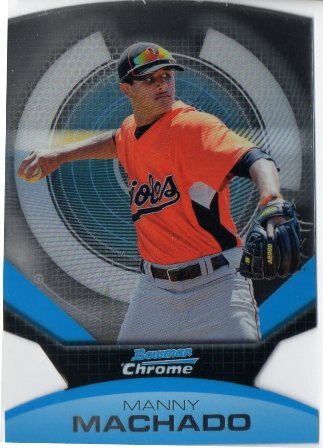 These are popular on the Blowout Cards forums since they were marked down to $10.98 - these maybe of good value if you resell the code card(s), the Bryce Harper bonus card and maybe pull a decent card in the packs. 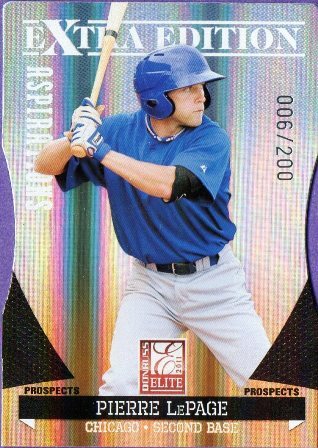 BCE-1 Bryce Harper bonus card - I'm not sure how many variation of the Harper card are out there, but this one looks like the red refractor version. 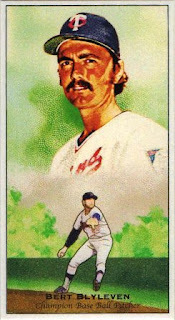 #TDG-12 Mike Schmidt Topps Diamond Giveaway code card - I redeemed a 1978 Topps Randy Jones #56, which was redundant because I got another copy of the exact same card signed through the mail four or five years ago. 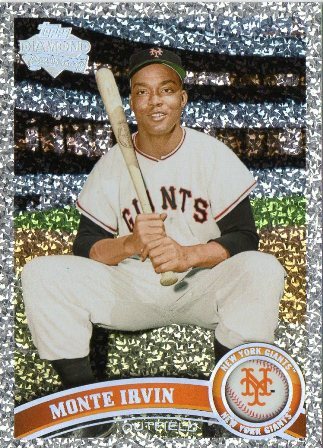 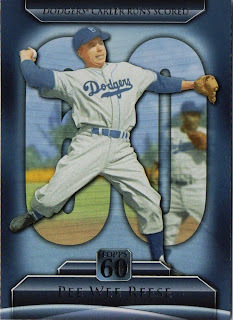 #T60-121 Pee Wee Reese - Topps 60 insert; looks like infield practice perhaps with Jackie Robinson lurking near him.